I received this Nivea Men Post Shave Cream last Christmas and I thought it was mistakenly sent to me. Hubby would be happy to use it and I was about to give it to him until I read a special note. A lot of women are raving about the Nivea After Shave Balm which works as a good makeup primer. I have to discover it myself so immediately I tried and tested it. Nivea After Shave Balm works to prevent irritation after shave. It has no alcohol content, that means non-drying and gentle to to skin. It has glycerine, a binding agent. I think it is why it makes a good makeup primer. So I tried and tested it for myself. 1. After cleansing, apply a liberal amount on your face and enjoy the cool effect on your skin. 2. Let it dry and using a sponge, apply your favorite foundation. Nivea After Shave Balm has liquidy consistency so it's easy to apply on the skin. 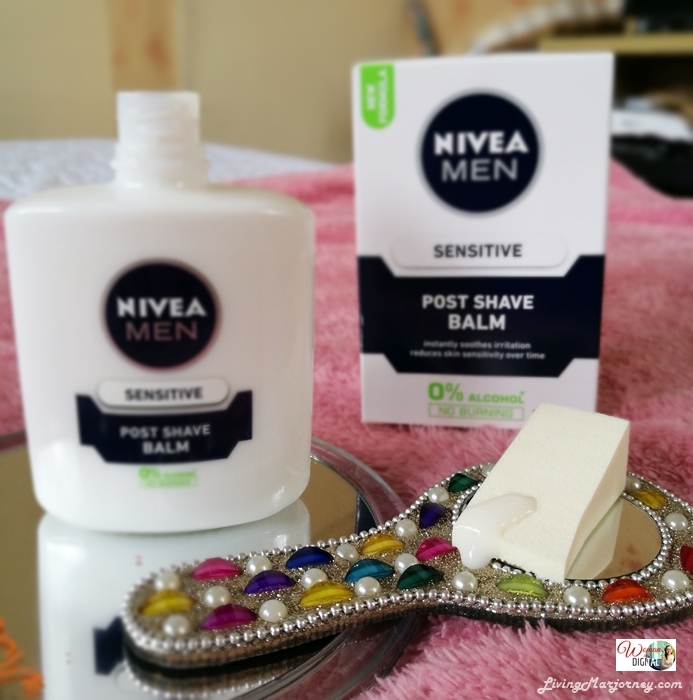 I'm always a fan of light masculine scent so I definitely love the scent of Nivea Men Post Shave Balm. My skin feels cool and is gentle to the skin. It has zero percent alcohol and not heavy on the skin. I think Nivea After Shave Balm works great as a Makeup Primer. 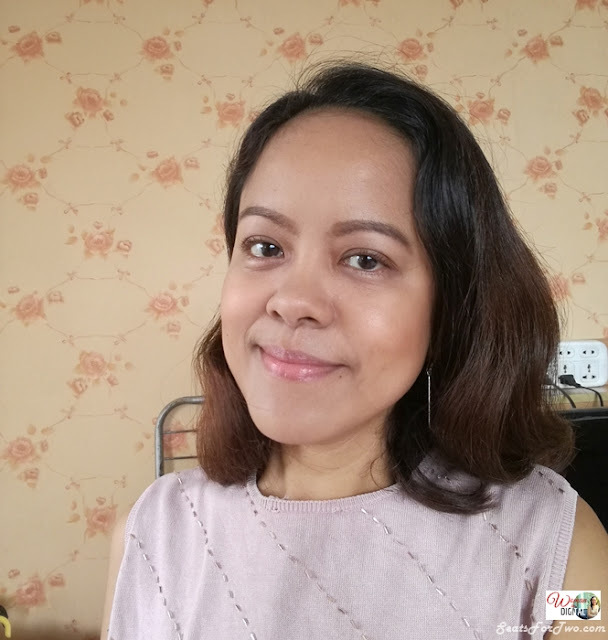 The product keeps makeup especially the foundation look flawless and even long lasting. 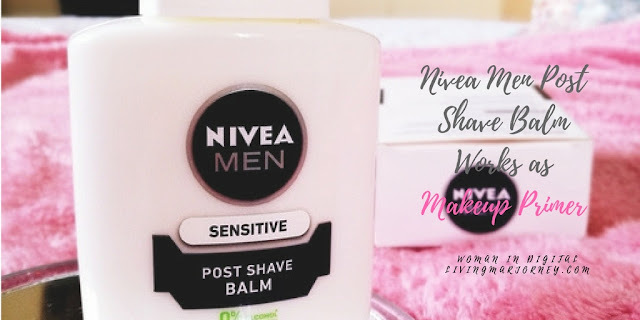 Nivea Men Post Shave Balm retails at Php550 in Lazada. 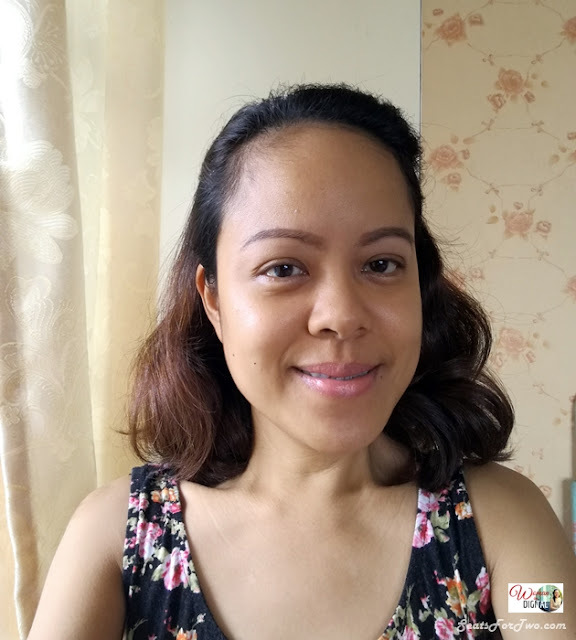 Taken in the afternoon after attending errands. My skin still looks flawless and less shine. Nivea Men After Shave Balm comes in a white glass bottle. It's very elegant and hygienic. 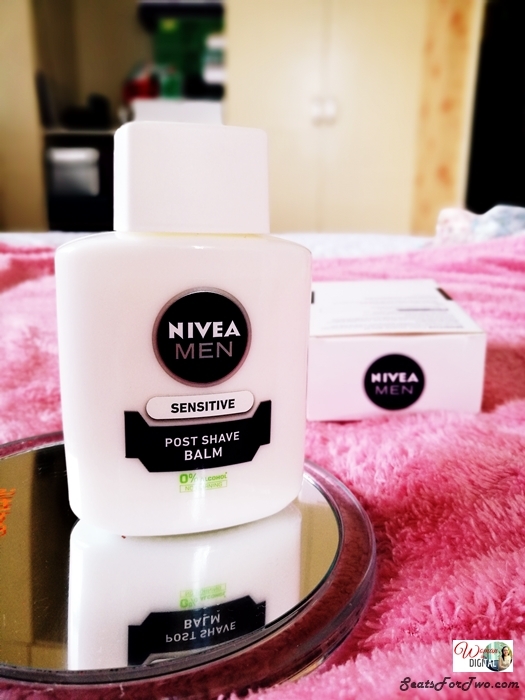 For me, Nivea Men Post Shave Balm works great as a makeup primer.